Linux Security Modules – LSM – is a framework that allows to support a number of security models for Linux kernel. 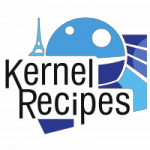 At Kernel Recipes 2012 and 2013, we discussed about generic principles of operating system security and formal security models in the Linux kernel. This year, we are going to discuss about the opportunity to use LSM hooks to build an generic system to manage informations inside the operating system. This talk will cover a brief presentation of LSM hooks framework, then we will talk about future goals for the LSM subsystem, and finally a possible design of this infrastructure.